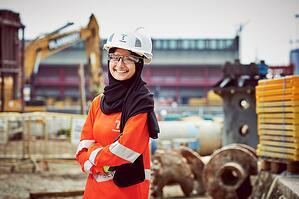 Being a woman on a construction site is a pretty novel thing. Make that woman pregnant and you have a whole new topic of conversation, as I learnt just over a year ago! As I wobbled around several construction projects at 8 months pregnant, I didn’t really give it much thought. A year and bit on, I’m now back at work and can reflect on that time and the impact it has had on me and others since. I’ve worked in construction over 12 years and really don’t know anything else career-wise. 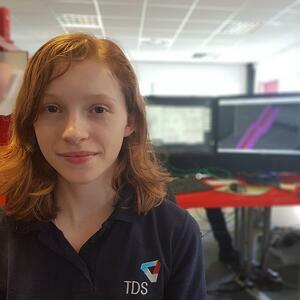 I started out as a Quality Construction Engineer, before moving onto Site Engineering and making a short transition into Project Management. I took on my first duel role of Project Manager and Site Engineer in early 2017 and shortly after, became pregnant with my first child. 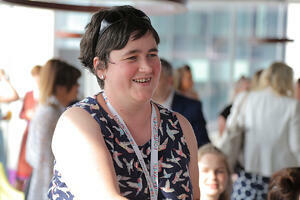 Having not heard about any other pregnant women in construction who were site based, I was unsure of several things. 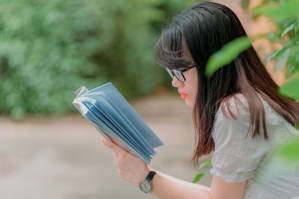 First, how or if I would be able to continue my job and second, and perhaps more importantly, if I would be able to have a career after becoming a mom. The risks were heightened because I have always been a freelance engineer, and so technically I didn’t have any “employee rights”. 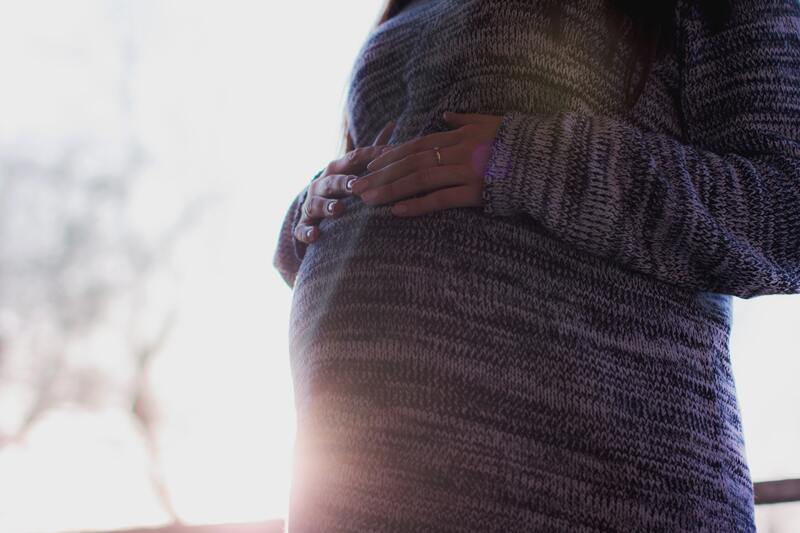 I always feared that I would be “let go” if a company wasn’t sure how to handle Health and Safety (in relation to my pregnancy) or if I would become ineffective as a worker, unable to do certain jobs. This probably shaped my decision to not say anything about my pregnancy until I was 15 weeks and starting to show. I couldn’t really keep telling people it was the burgers… But, the first 15 weeks were probably the toughest for me, both physically and mentally. Whilst my body saved me from the burden of sickness it gave me a hefty amount of tiredness to deal with and a good dose of uncontrollable hunger (hence the burger excuse). To this day, I have no idea how any of the men didn’t notice that I was constantly eating and in and out of the portaloo to relieve my bladder every 10 minutes. On top of this, I was project managing my first ever, large-scale retail park, consisting of four large buildings. 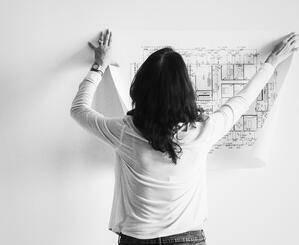 I had to be on site every day, ensuring that the build went to plan and more importantly made money. 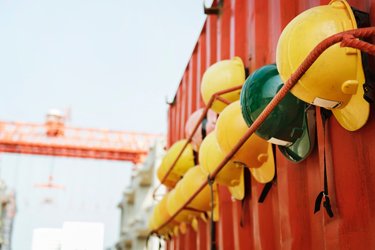 Managing my stress levels became a priority as well as ensuring my own safety on site. This meant that for the majority of breaks I needed to drive off-site and find a spot to have a sleep in my truck. This was essential and helped me re-boot for the next part of the day. 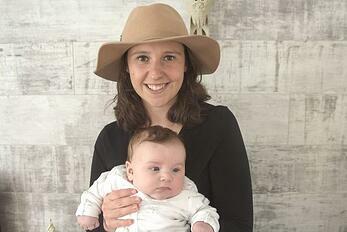 Around about 10 weeks into my pregnancy, I began to really feel the stress on site. There were several incidents and managerial pressures that were getting on top of me, and for the first time in over 12 years I had an emotional breakdown with a company director. I wanted to shout in the loudest voice “I’m pregnant!! !”, but I didn’t. Instead, I filmed it for my YouTube channel so that I could reflect on it in years to come. Probably not the brightest idea I have ever had, but I think the video has helped a few other women who have been able to relate. The guys I worked with were extremely supportive and really helped me carry on and battle through, and I wondered at this point if anyone had guessed I was possibly pregnant. Besides this one incident everything else seemed to be going ok. I was actually managing the project successfully, as well as building a tiny human. I was able to avoid any overly physical work and my claimed tiredness was due to some heavy weekend partying. There was just one thing to overcome - my belly, which was starting to show. Ill fitting PPE protective clothing had saved me so far, but it was getting into summer and wearing a coat on site was looking a bit daft. So, one day, around 15 weeks I plucked up the courage to tell my boss. To my totally surprise his reaction was so positive and he instantly announced “we need to make sure you take it easy on site” and “how long would you like to work for?” I felt like a huge weight had been lifted off my shoulders. Quickly, the news spread and on that afternoon, I was treated like royalty. As I waddled on through the weeks, getting around with a minimal amount of energy became increasingly hard. The majority of my workforce were so supportive; especially the guys on the ground who had children and knew exactly what their wives or partners had been through. Higher management was a different ball game though. They seemed to forget my circumstances on numerous occasions and continually asked me to do inappropriate work. One day I was asked to drive over 4 hours to a separate job to work on a concrete foundation for 2 hours then drive back to my main job. Knowing that I had to keep my baby’s health a top priority, I spoke up. I felt bad for having to explain how I couldn’t do certain things; the idea that I would be asked to leave was always on my mind. This never happened though, and I managed to stick out the 8 months. The majority of outsider comments from the public were also encouraging, after the initial shock of seeing me waddle around the site had set in. I was documenting my construction career journey through a series of YouTube videos at the time, something I had starting doing a few years ago. 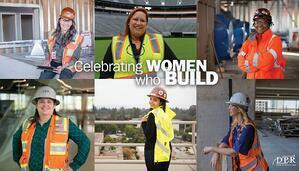 I created videos about my work so that other girls or women could see what it is like to work in construction. My aim has always been to be as honest as possible and I knew that my pregnancy needed to be included. 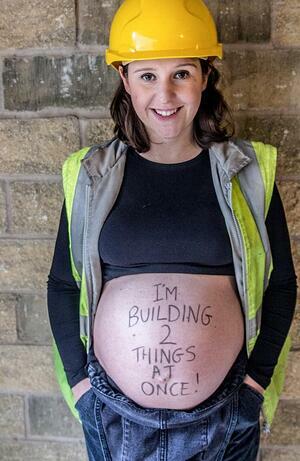 One day I decided to take a selfie of me on site with a huge belly and the weekend following I got my husband to take a picture of my bump with me in full work gear and the words “building two things at once” plastered across my belly. Little did I know but the picture went viral and before I knew it, the national newspapers picked up the story and it even reached international news channels. I am not going to lie, I was shocked by the coverage the picture got and more specifically people’s reactions – both good and bad. For 12 years, I have known nothing other than construction and becoming a mom and being pregnant was always going to be part of that journey for me. Since the photo, my story has been shared by French media giant Brut and part of my YouTube video has featured in a Herbal Essence advert for Strong Women Can. I have also been invited to events such as the Inspire Summit in Manchester to talk about my experiences in construction. Recently my pregnancy picture was also featured as part of The Face of Suffrage artwork, a floor-based, 200 metre-square photomosaic, which was made up of more than 3,700 images of females from across the West Midlands. I hope that through sharing my pregnancy journey, more women will realise that you can become a mom and continue to work in construct ion, and more importantly to show companies that we don’t become “useless” or “fragile” nor does it warrant us leaving the industry. We can well and truly build two things at once. 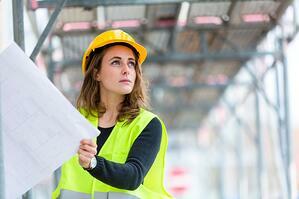 Michelle Hands is a Director at N J Engineering with over 12 years of experience in the construction sector. You can find out more about her life and work by visiting the below sites. Interested in supercharging your career like Michelle Hands? 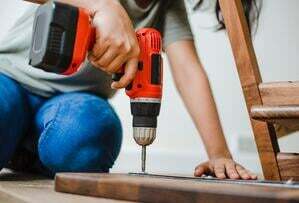 The Women in Construction Summit is taking place 16th May 2019 at Olympia London. 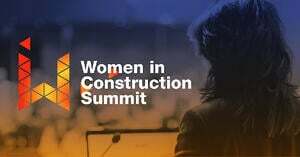 This conference will inspire you with talks from industry leaders and enhance your skills with practical workshops, helping to drive change in the construction sector — a must for any women in the field looking to smash the glass ceiling.